An opponent chooses a card in your graveyard. 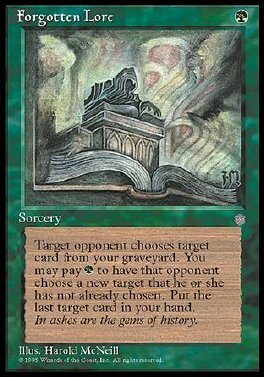 You may pay G. If you do, that opponent chooses a card not already chosen for Forgotten Lore. You may repeat this process any number of times. Put the last chosen card in your hand.